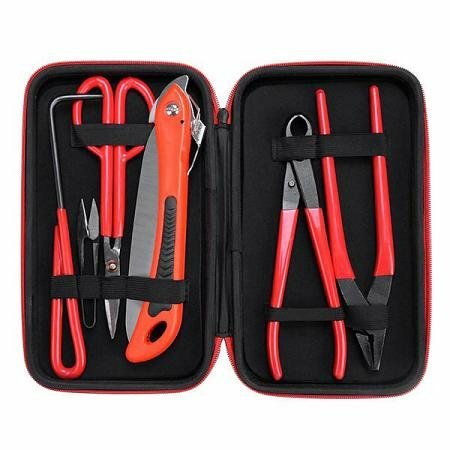 6-Piece Bonsai Tool Kit includes Leaf Trimmer, Jin Pliers, Root Hook, Pruning Saw, Long Handle Shear (Bud Shear), Knob Cutter & A Nylon Case. Perfect for Bonsai beginner or a professional. This kit is made of carbon steel fully inspected and lightly oiled, excellent durability.